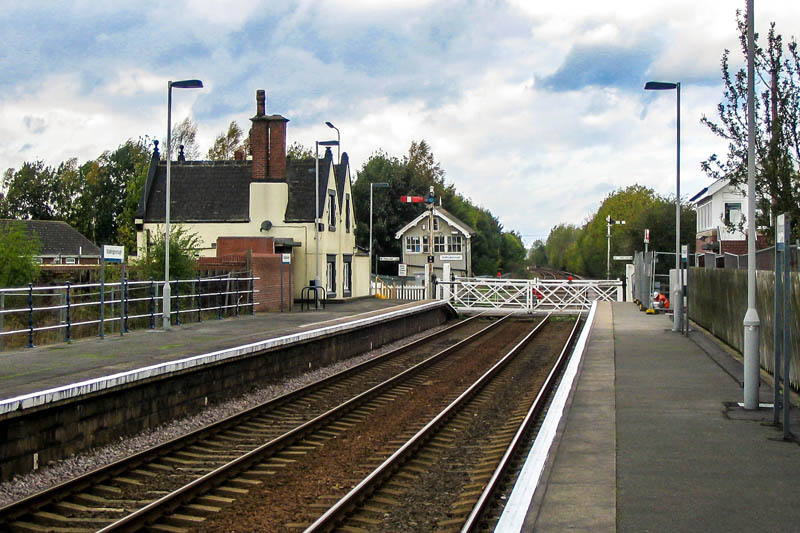 A view of Stallingborough station signalbox and crossing from the eastbound platform. 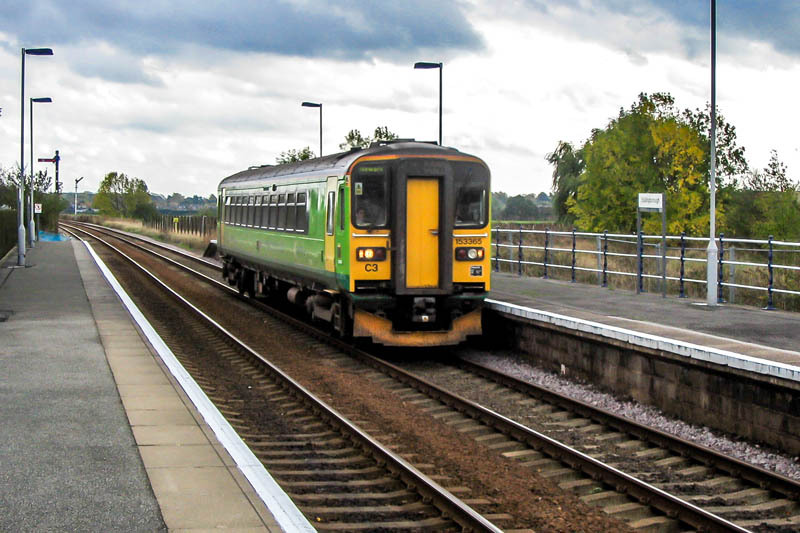 153365 passes through Stallingborough station with a Newark service. 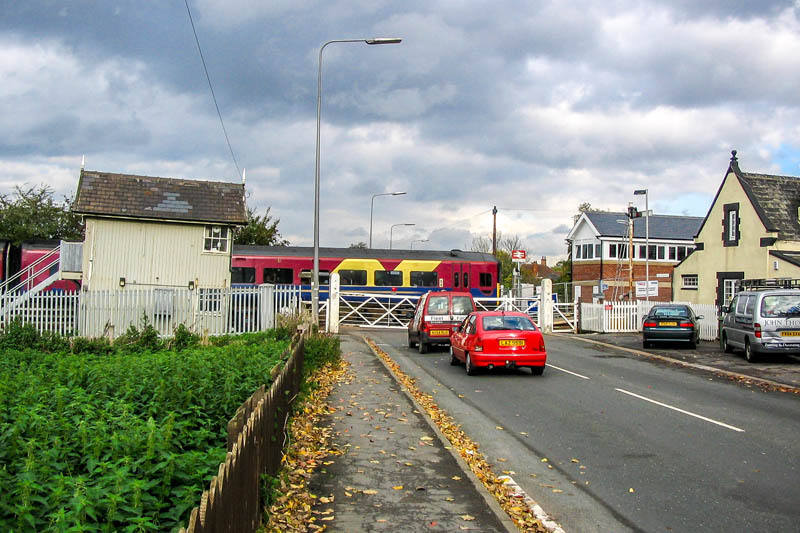 The gates are opened as the Newark train disappears round curve towards Habrough. 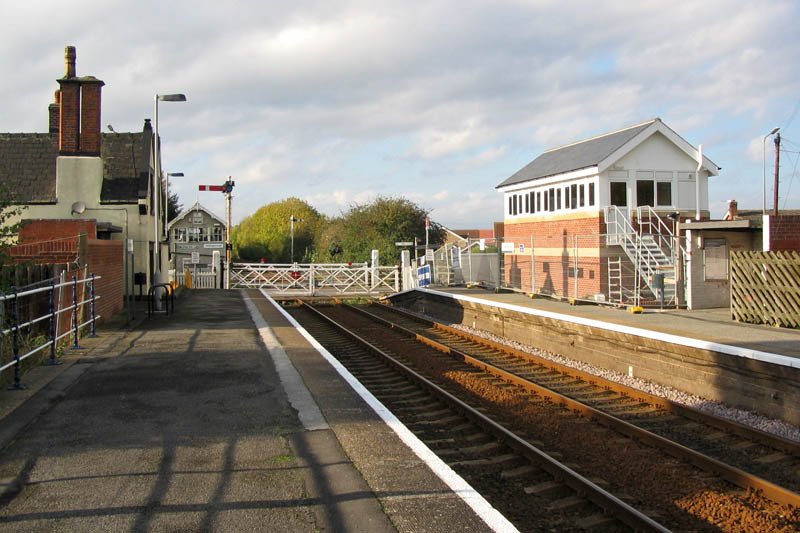 the new replacement signalbox is under construction on opposite side of crossing. photo was taken. 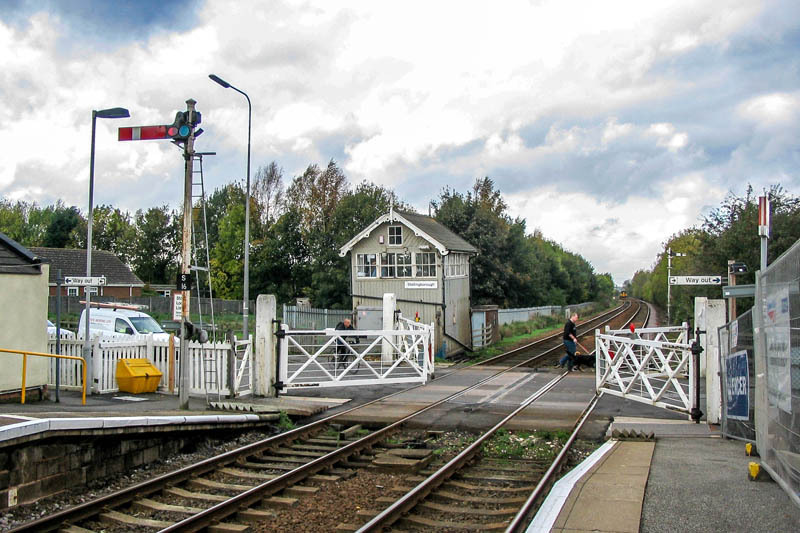 The crossing gates were replaced with barriers and mechanical signals updated to colour lights. are now signalled from York.